Joella from Fine and Fair has a workout for those who may not be into Couch to 5K. Last Wednesday, I did 250 squats. I don't know about you, but for me? That's kind of a big deal. When it comes to physical fitness, I have always been, let's say, inconsistent. I'd get into a solid workout routine, keep at it for a few weeks, and then forget that exercise is a thing for months on end. Surprisingly, all of that changed during my pregnancy with Canon. I was determined to remain healthy and strong throughout my pregnancy, committed to doing everything in my power to ensure the best possible outcomes for both of us. For the first time in my life, I was exercising consistently. I was doing yoga, water aerobics, swimming, walking, and even took up Zumba. The day before I went into labor, I was waddling, slowly but surely around the indoor track at the Y, when an older woman smiled at me and called out "Hope your water doesn't break!" 6/14/13: Couch to 5K Highlight: "Broken, Fat and Busy"
It was about midnight when I went off half-cocked and decided that I was going to do a C25K program. As usual, I was up too late and fiddling around on Facebook. Lo and behold, as I scrolled ever downward in what seemed like an endless feed of new items, an ad popped up that caught my eye. It was impossible, really, for it NOT to catch my eye. Jumping off my laptop screen was a woman dressed in full running attire, soaked to the skin in bright pink paint. Intrigued, I clicked it. Then I clicked all the clicky links on the website. I was morbidly curious and totally sold. “I can do this!” I thought. “It’s not until October! I can whip myself into shape in no time!” I assured myself. Running is more than just an exercise I do to stay in shape. It's a journey inside my head, bringing me to experiences I've had before, experiences I'll have in the future, and experiences that may only play out as fantasies. Running is my time to visit old memories, plan my future, practice real life scenarios and confrontations, or to cook up stories I may later write or just act out as I run. Sometimes my thoughts drift toward lofty and aspirational, like the prospect of running two marathons at age 40. Other times I focus on the mundane – the little details like what decorations and food we'll have at my son's naming ceremony. Sure, I can contemplate these things without running. But when I'm out letting my feet fly, the endorphins produced by my body give me a boost of clarity and an extremely positive outlook on life. See more from her at her blog, The copyverse! Kimberly Wright talks about how to use trending to keep your goals manageable. It’s an excellent rule to remember not only for weight loss and health but also for all aspects of life. Is today just unrealistically horrible? Did your kid cut the back of her jeans and then sit on the corner screaming for a new mother (true freaking story). That’s ok, because there will be a good days that will even out that trend and make you forget (ok maybe not forget, maybe jut accept) that bad day. 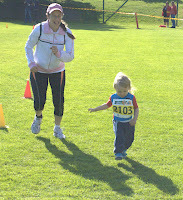 Cassie is spinning her way to health and Emilie at Teaching Ain't For Heroes ran a 5K in 33:31 on Saturday, May 4th. She is working on getting her average pace to around per mile. Next week, we'll be highlighting some fans in their journey, so stay tuned! 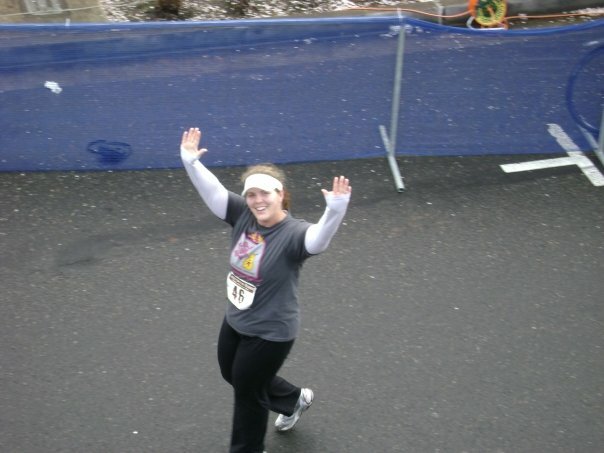 5/1/13 - The start of Couch to 5K! Join in! Running gave me the courage to be passionate. It gave me the strength to look beyond the missing notes. Not only is it a powerful sport, it is an easy one. You don't need a gym membership. Heck, you don't even need shoes! You don't need any special skills. No supplies. You just set out and go. Now, like I mentioned before, I'm quite out of shape now. My aforementioned job that I love also keeps me quite busy and I haven't spent time running lately so my stamina is down, which is why I re-started the Couch to 5k program on Monday...and I want you to join me! Not a runner? Give it a shot. I'm right here with you! 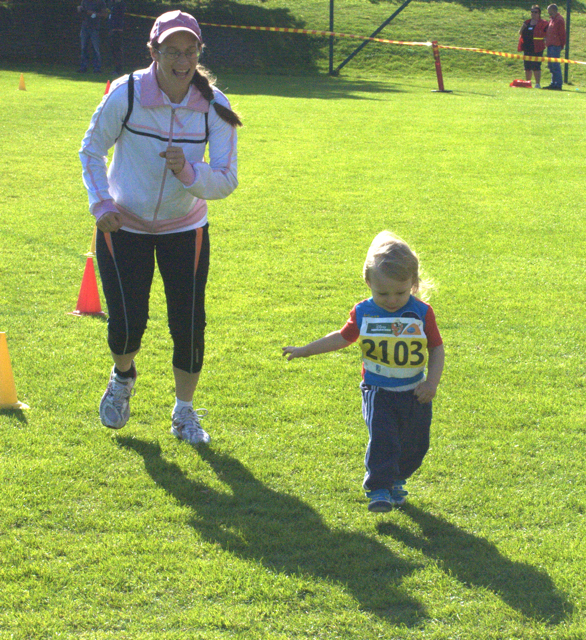 Already a runner? 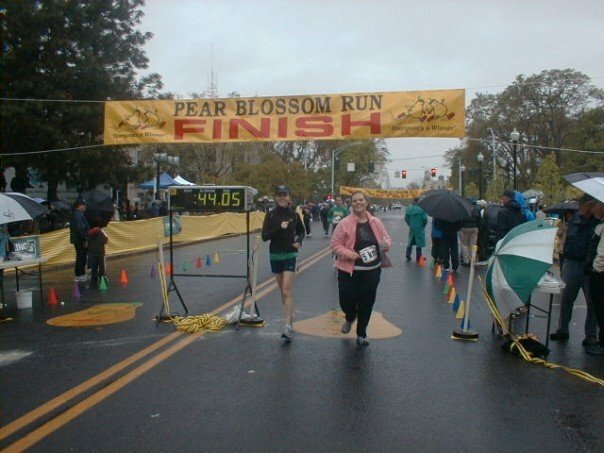 Set a goal for running. Perhaps you'd like to get a better time. Really can't run? How about giving walking a shot. Whatever the case, let's do this together! 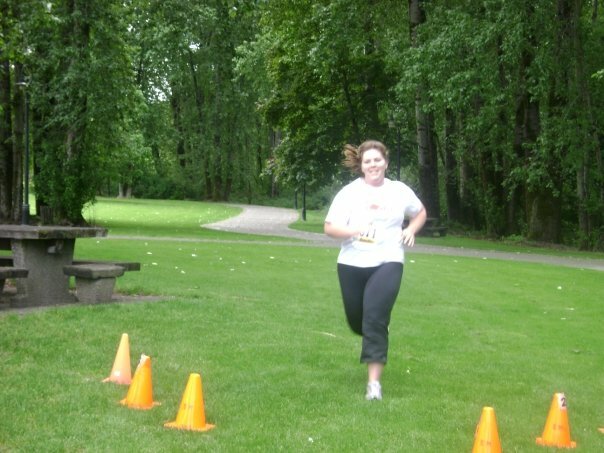 On July 20th, I want everybody to run (or walk) a virtual 5k. Couch to 5k is simple, interval training (and do check out all of the available apps and podcasts for the program, many are free and very helpful!). The first week starts off with a five minute warmup walk, then alternating between 60 second running intervals and 90 second walking intervals followed by a 5 minute cool down. The whole workout should total 30 minutes. Each workout is designed to be done three times per week. CLICK HERE FOR SCHEDULE AND STORY! I'm Cassie. Darlena has graciously invited me to head up the Fitness Corner section of her blog. I'm honored to be here. And while I don't necessarily feel qualified to be considered an expert, I definitely have a lot of experience with the losing (and gaining) of weight and starting at the bottom to reach fitness goals. Today something happened in my life that inspired me. At work we were discussing goals and living with intention. That actual discussion is fairly irrelevant but what came of the discussion is that I live my live and set goals with intention. When I set a goal, I mean to achieve it. So, let's talk about fitness goals. The key to achieving fitness goals is to setting realistic ones. CLICK HERE FOR REALISTIC GOALS TO MAKE A CHANGE. Thankyou for keeping something like a journal of your way to become healthier. It may sound too ideal for beginners, but, sooner or later and read more, they would not notice that they've achieved more than what they can. On the off chance that you need to do that arrangement effectively and achieve your health and fitness objectives, make certain to incorporate this fundamental fixing. Healthy and effective supplements find out here now. Fitness uses a total body approach to enhance your strengths, address your imbalances, and safely and effectively teach the elements to a healthier body and mind. additional info. Hello,very Nice And unique article You Wroted here ..very Interesting to share. find out here now.